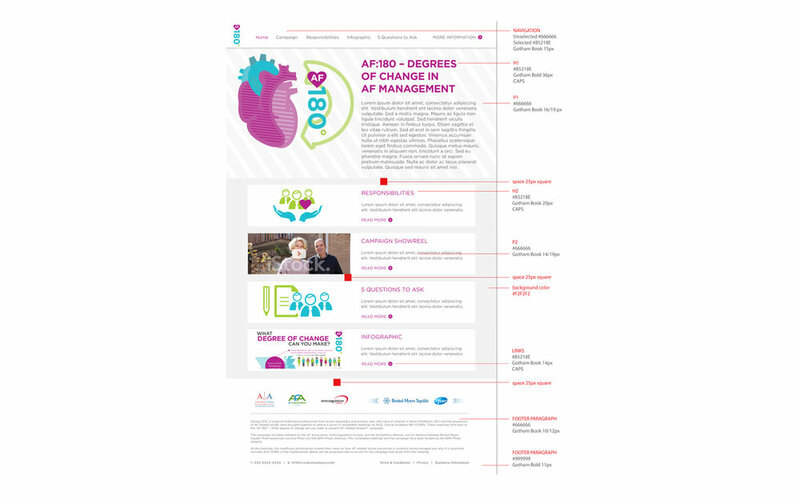 To support change in order to prevent atrial fibrillation-related (AF) strokes, in line with NICE Clinical Guideline 180. 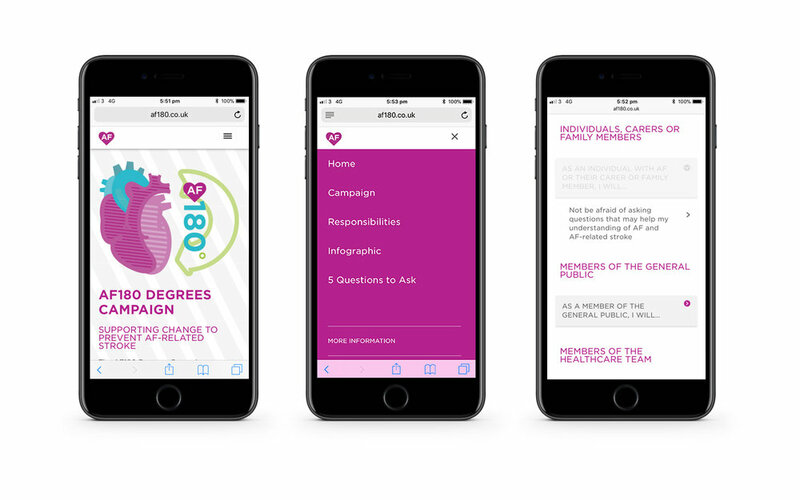 This campaign was developed by a group of expert healthcare professionals and patient advocates. A logo and website were commissioned. A fresh look was desired to assist a very serious, if not dry, subject matter. The logo was designed first in vibrant colors: purple, turquoise and lime green. From this, a color pallet for the website and infographic was created. In order to depict the heart in a consumer light, iconography for this particular project was decided to be simplistic. We were also working with an older demographic, so larger, bolder shapes and typography was necessary.